It was nothin’ but net as basketball drama Magic/Bird, starring Kevin Daniels as Earvin “Magic” Johnson and Tug Coker as Larry Bird, opened on the Great White Way. 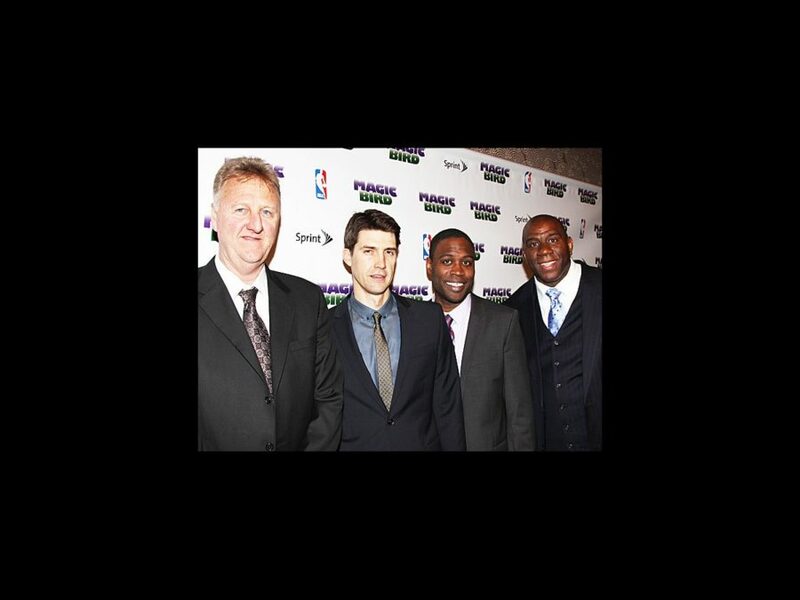 Directed by Thomas Kail and penned by Eric Simonson, the play chronicles the fierce competitive streak and eventual friendship of NBA icons Earvin "Magic" Johnson and Larry Bird. The show officially bowed on April 11 at the Longacre Theatre before a star-studded crowd that included the real Magic and Bird. After a fast-paced performance from the cast, including Deirdre O’Connell, Peter Scolari, Robert Manning Jr. and Francois Baptiste, celebs such as Rooney Mara, Rosario Dawson and Penny Marshall joined the company at the Edison Ballroom to celebrate. Click below to get in the game on the opening night of this intense sports drama.